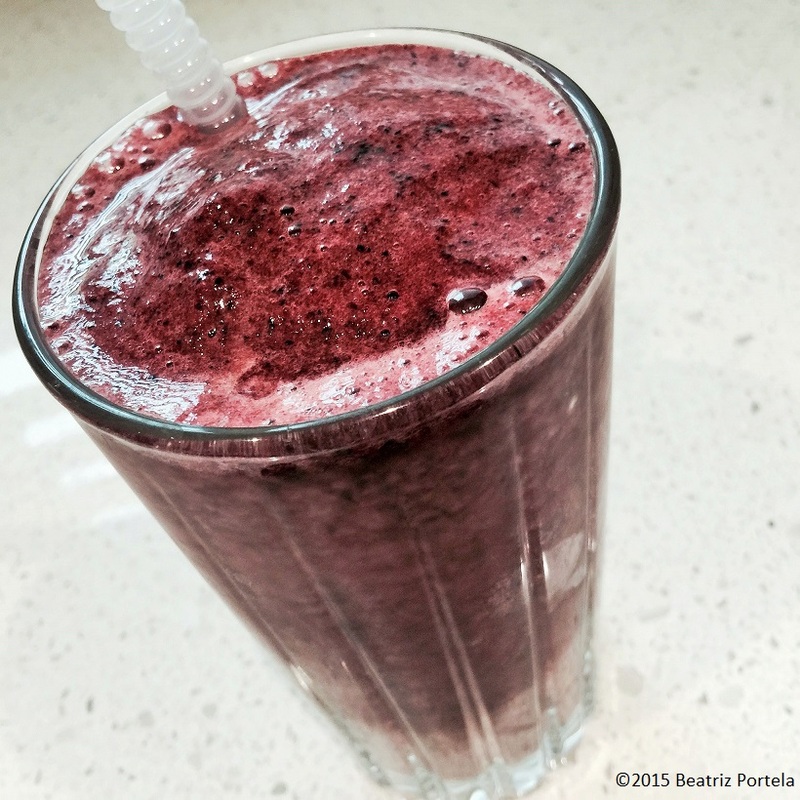 In a large blender add 2 cups blueberries and 2 ripe bananas. Then fill the rest of the blender with equal parts pineapple and water and/or ice. If you don’t have fresh pineapple, you can use pineapple juice instead. The first bananas are growing on my Goldfinger Banana plant. This plant is approximately 12’ tall. When the high winds started in Miami due to a possible impending storm, I decided to cut the flower off so that the plant wouldn’t be so top heavy. 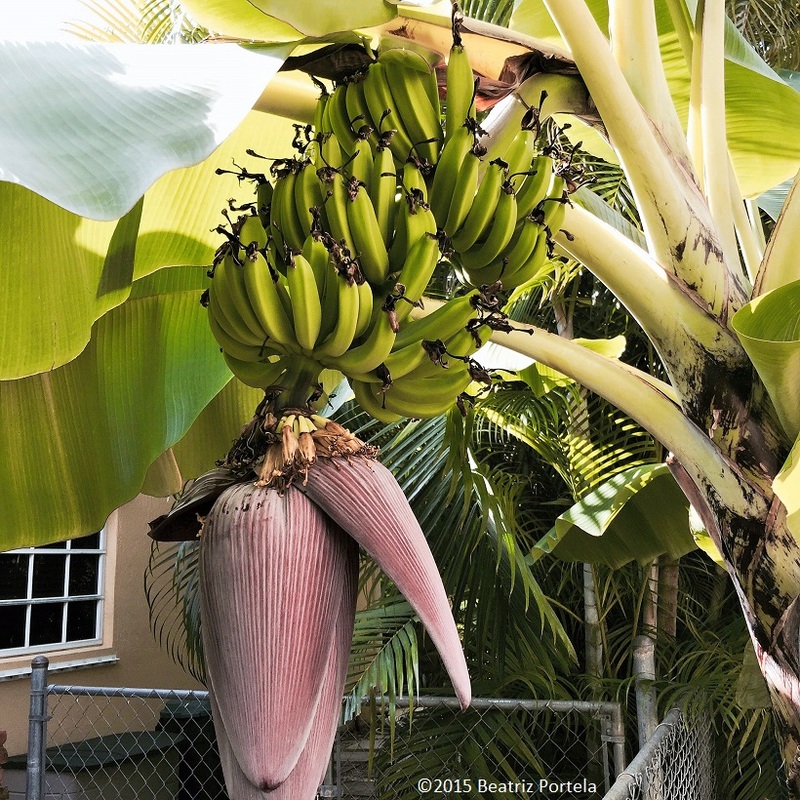 Banana plants don’t do well in high winds; they tend to topple over. The flower weighed close to 3 pounds! 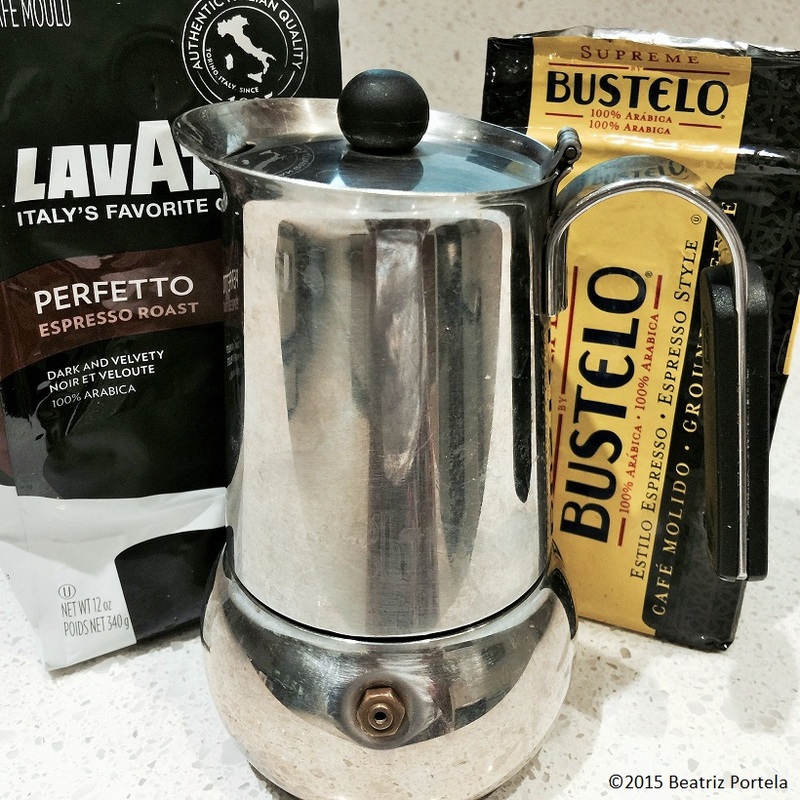 Oh my dear coffee, how I love you and hate you…let me count the ways… I love the ritual of getting up in the morning and first pouring the water into the stainless steel espresso maker, otherwise known as a Moka Pot. I love packing you in, ground-up fine, and putting you on the stove. It’s comforting. I love the smell of you and your taste. So what don’t I like? That the time it takes to perform this ceremony could be used to support a healthier habit, like making a fruit or veggie smoothie. And what I hate is that I’m addicted to you. This morning I tried to split-up with you. I didn’t drink you; I made a fresh juice instead. By the end of the day I had a splitting headache. When you look at the overall picture coffee, you’re not that bad of a habit—I mean you’re not nicotine or heroin. But the caffeine withdrawal is unpleasant. So now that I already survived the first day of a horrendous migraine, I think I’ll stay away from you for another day, and maybe another… we’ll see how it goes. 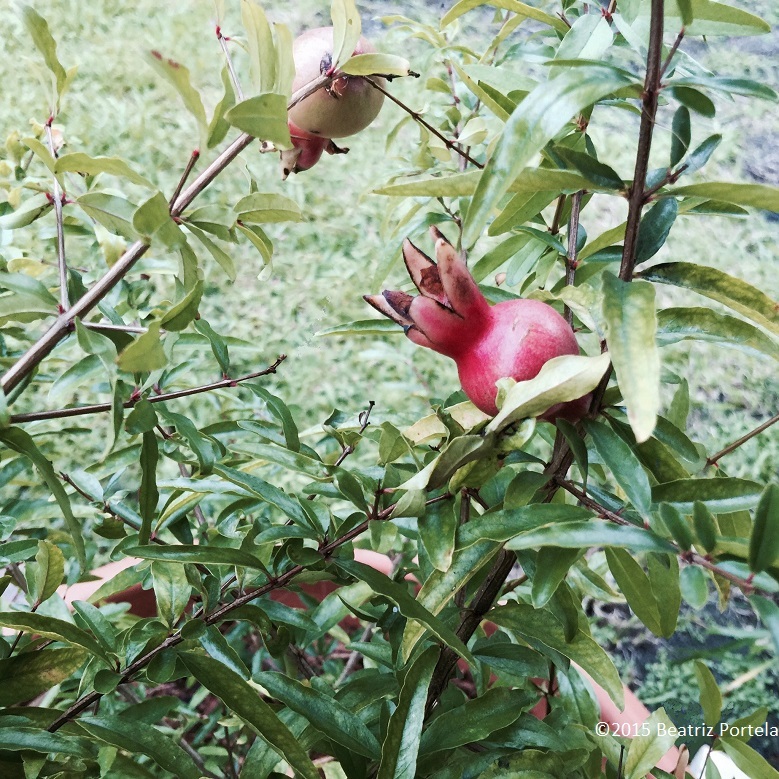 My little pomegranate tree is starting to fruit. This is a dwarf variety, good for growing in planters. It does best in zones 7 through 11. The tree reaches a height and width of approximately 3 feet. 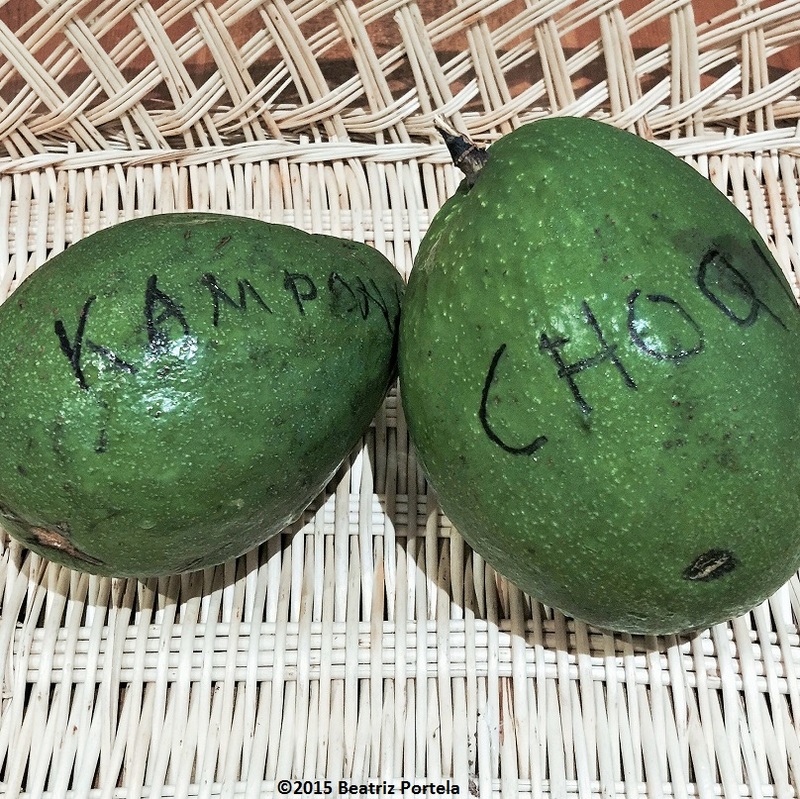 Got to love it when my friend Tom leaves avocados from his trees on my front porch. He also writes the names of the varieties on them. Thanks Tom, much appreciated! 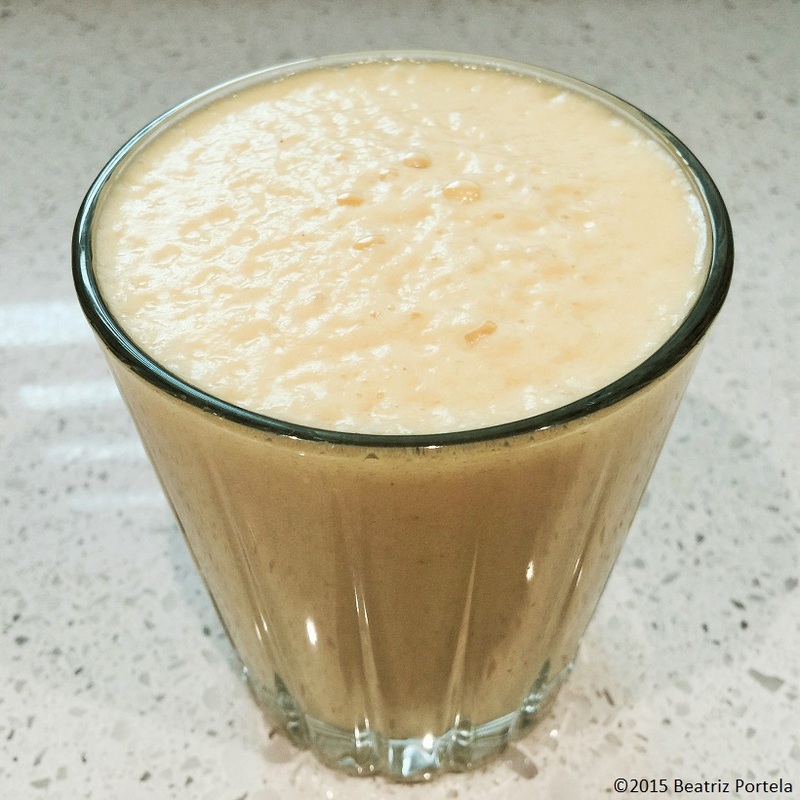 If you have a strong blender it’s easy to make pineapple juice or a smoothie. I use a Vitamix, which will totally pulverize the fruit. Start with a whole pineapple. Cut off the crown (top) and bottom. Then slice off the outer layer of the pineapple so you are left with the yellow part. Now slice that crosswise and into wedges. No need to slice out the middle core. A strong blender will puree that. Toss the wedges in the blender and add water and/or ice, depending on the desired consistency. Blend on high. If you add water it will look like the juice that I made in the picture. If you add ice, it will have the consistency of a smoothie. Either way, it’s sweet and tastes great. If you want to GROW a pineapple, just take the crown that you cut off and set it aside for a couple of days to dry out a bit. Then place it loosely in soil, either in the ground or in a planter. Pineapple grows shallow roots so it is fine in a planter. It will take approximately 2 years to grow an edible fruit so it is good to have a few plants, started at different times. Pineapple is a tropical fruit; it does need sun and warm weather. Good luck! 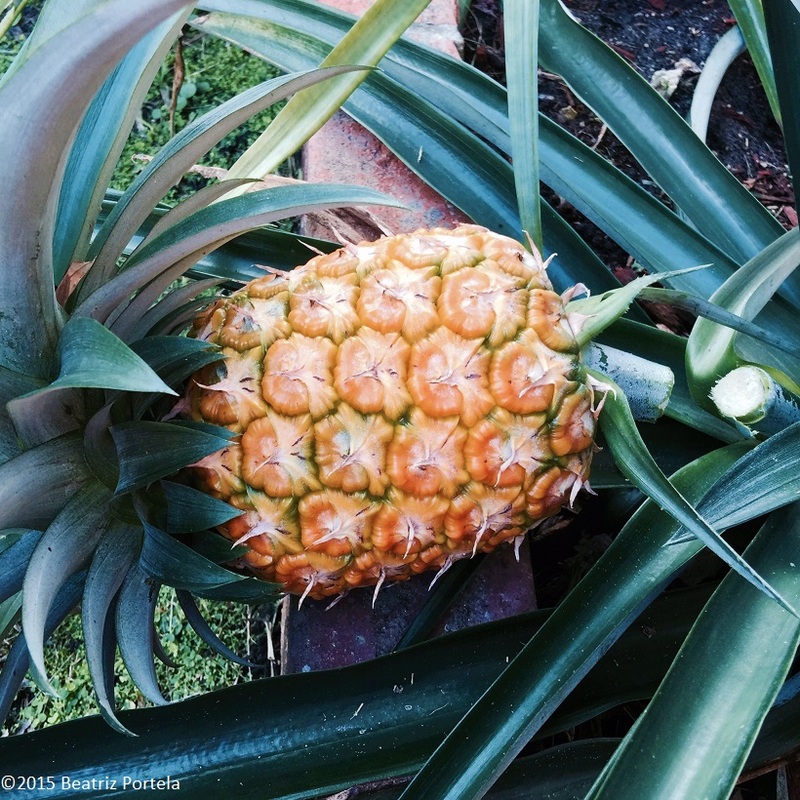 This morning I got to harvest the first pineapple from my yard. I had bought the plant over when I moved here a year ago. When it changed colors from green to yellow, I knew it was ripe. I have six other pineapple plants, in different stages of development. It takes approximately 2 years to grow a pineapple. This fruit can be easily grown in a container as well, because the roots are shallow. 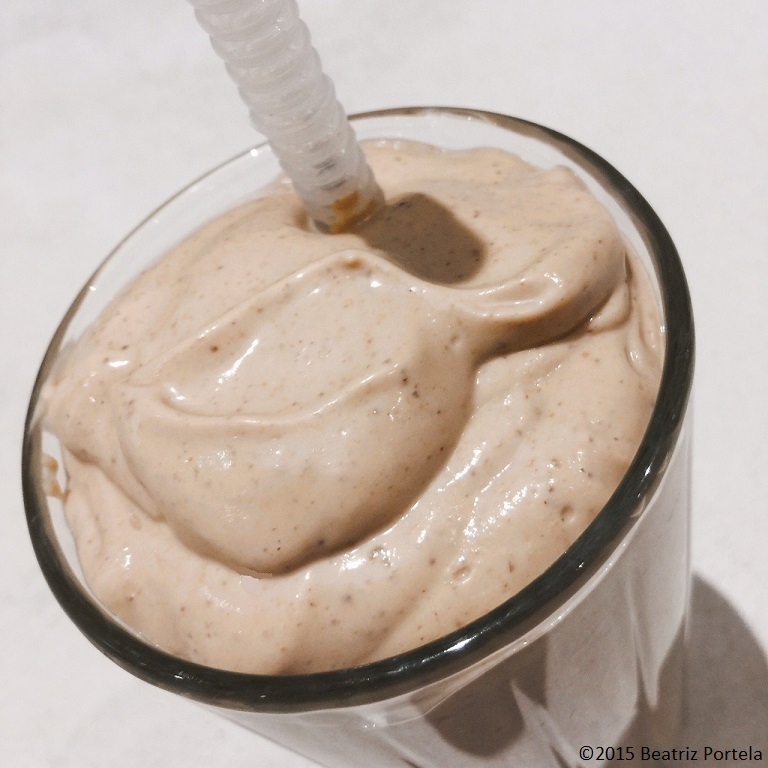 I love peanut butter—spooned straight out of the jar, on bread, in a pie, in sauce, and in a shake! The ingredients are non-hydrogenated peanut butter, very ripe bananas, fresh figs and soy milk. You can use a nut milk or dairy if you prefer. 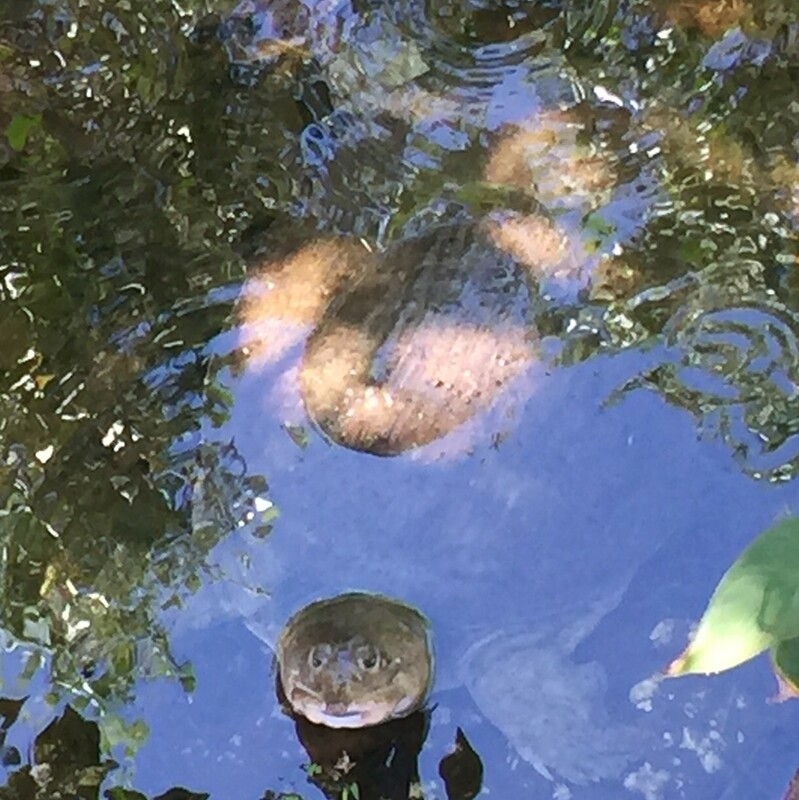 I came across this cute turtle at Fairchild Tropical Botanic Garden. 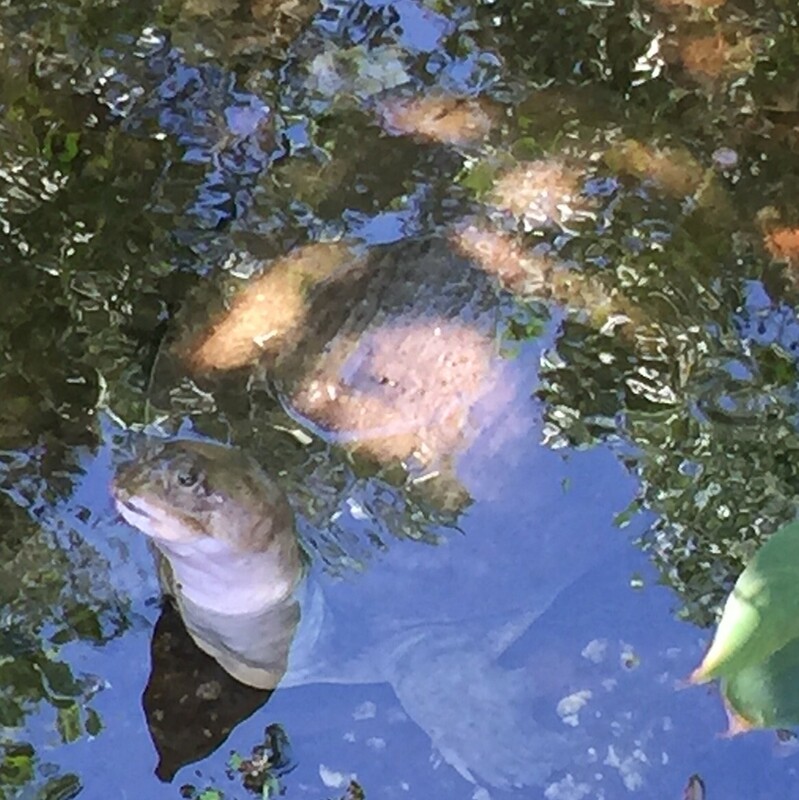 Turtles eat plants that grow in the water, insects, snails, worms and aquatic animals & fish. 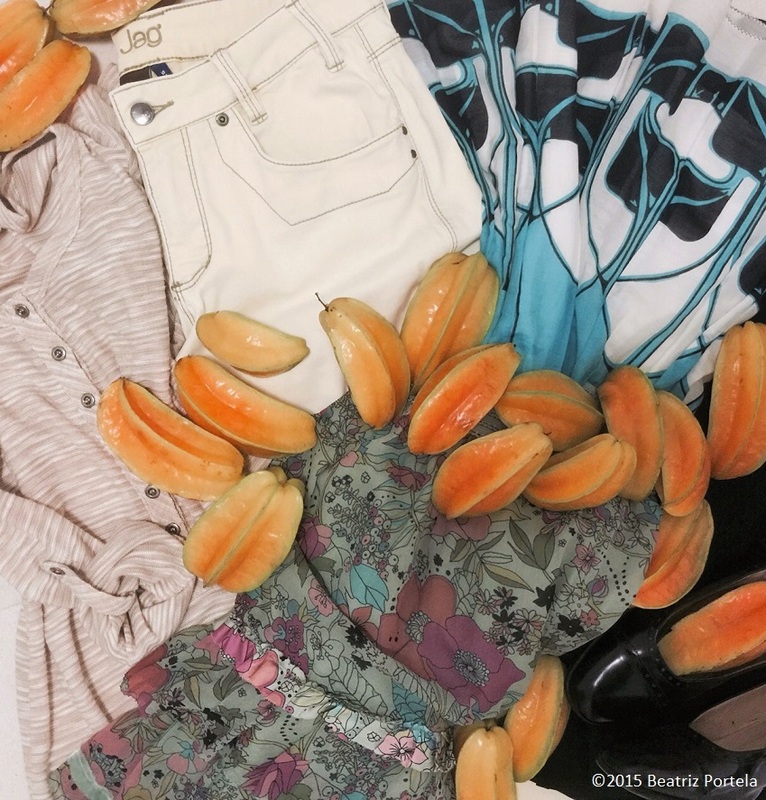 I cleaned out my closet today to donate clothes to Lotus House…and I also picked a bunch of fruit from my Carambola trees to give them. Lotus House is a women’s shelter, dedicated to improving the lives of homeless women and their children. 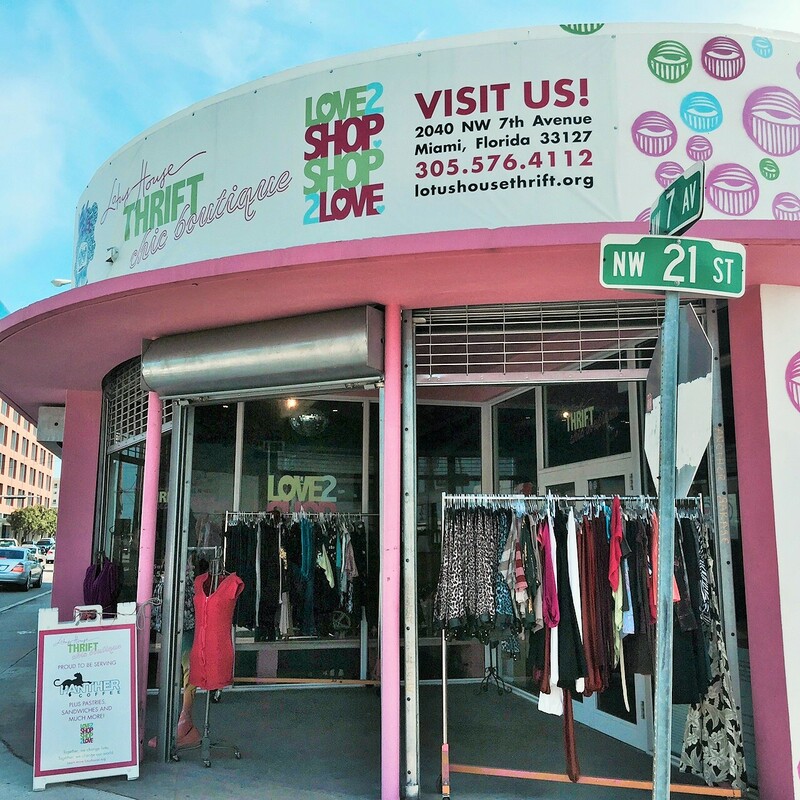 The clothes that are donated to the organization are either given to the women who live at the shelter or they are sold in their Lotus House Thrift Boutique, to help fund programs such as employment and life-skills counseling. If you live in the Miami area, please stop by the store at 2040 NW 7th Ave. The ladies also operate a coffee bar there; and serve pastries, sandwiches and desserts.